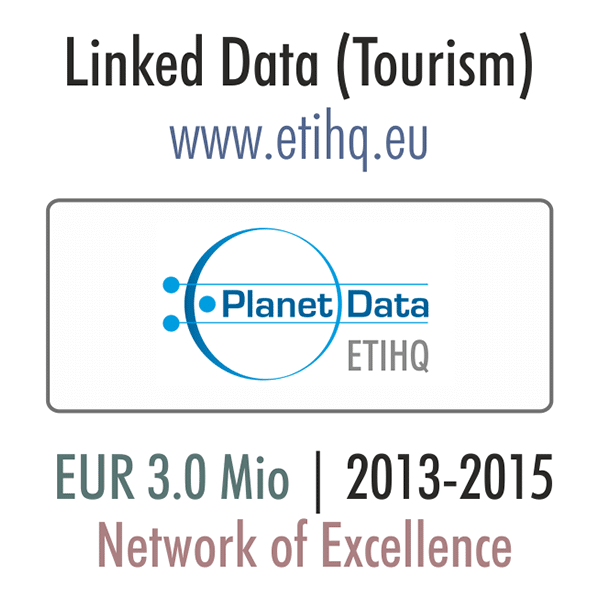 For the European FP7 research project “Exposing Tourism Indicators as High Quality Linked Data” (ETIHQ), funded via the PlanetData Network of Excellence, the webLyzard platform was used to provide a linked data dashboard and decision support tool based on multi-domain knowledge in the travel and tourism domain. 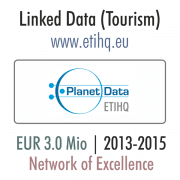 Integrating information from TourMIS, the World Bank and EuroStat, the dashboard enabled decision makers to select and concurrently visualize indicators from tourism, economics, and sustainability (extensible to other domains of interest for which statistical linked data exists). 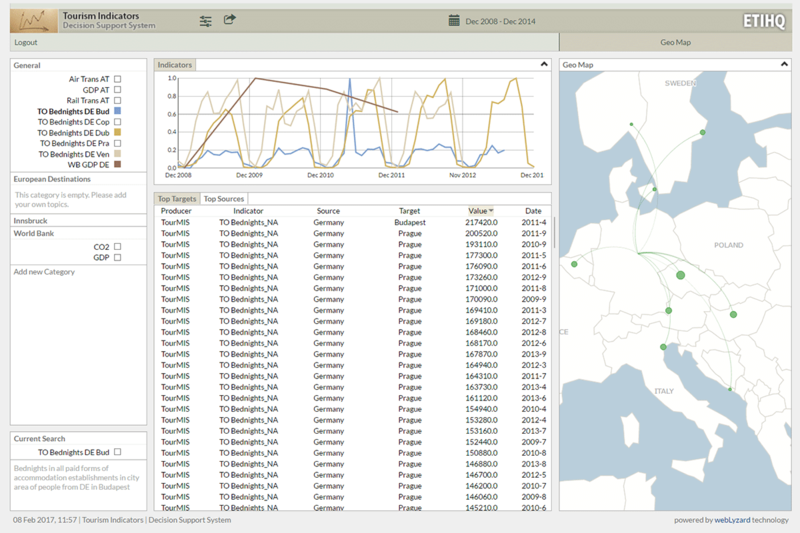 The system architecture consists of an indexer package that ingests the linked data components, and a set of modular visualization components that are synchronized following a multiple coordinated view approach. 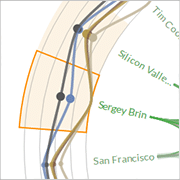 The publications listed below provide a more detailed description of the platform and its potential applications.